I use around 30 apps a day. No joke. In total, I currently have 112 apps on my phone. Some I use for only a few seconds every once in awhile. Others I use for a few hours frequently. Many I don’t believe I can live without. With that many apps, it’s difficult to not feel overwhelmed. Everyone has their preference for messaging, emailing, paying for things, etc. So I’ve gone out of my way to try out a bunch of utility apps that condense my activity into fewer spaces. Here are the 5 apps I’ve found work best for my busy lifestyle. Glip is a collaborative software which streamlines communication and boosts productivity. I was introduced to it over the spring when I began working with Resonate Church and their social media team. Through Glip an entire network of staff members can be connected and given access to a large base of contacts. Individual or group conversations can be spawned from this base of contacts. The software allows for video conferences, sharing of large data files, live production of media, and scheduling into network calendars across platforms. Glip is simple, easy to navigate, and essential to enhancing good and efficient work flow. Email is tough to manage. It is especially difficult when you have multiple accounts. I have four I actively use on two different platforms. Two personal and two professional. Three through Google and one through Microsoft Office. 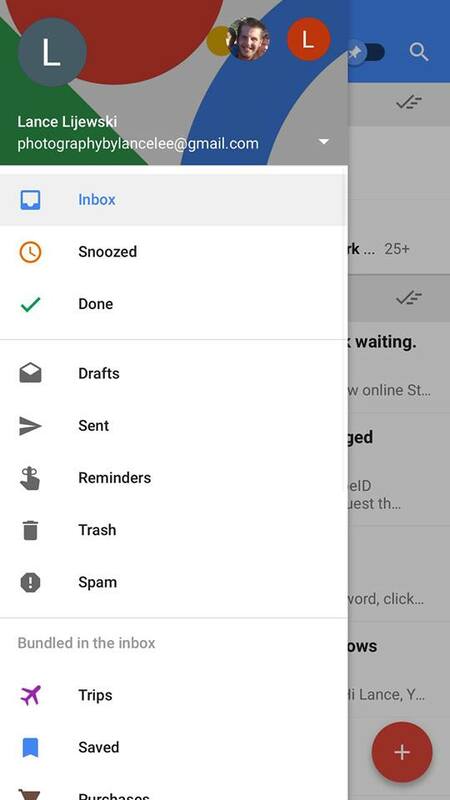 Inbox simplifies the Google hassle by keeping you logged into each account through one app. All of my information, automatic uploads, and push notification information is saved in in my other apps but accessible in a single space. Switching between accounts is simple and the design of the app makes it clear when I’ve done so. As the most popular payment app available, Venmo is essential for any photo session transaction in the PNW. No matter where I’ve been outside of small towns amounting to 100 residents or less, Venmo is the most convenient courteous way to request money. The app is user friendly with a simple design and safe accessibility to one's own checking accounts. It has social media aspect that allow users to ‘like’ payments, write comments on their own payments, and opt to post their payments publicly. My only complaint is that the app takes two to three business days to deposit funds into your personal checking while it withdraws immediately when you make a payment. All in all, Venmo is a fantastic way to get paid while advertising your success and fostering social media community at the same time. Not as popular as Venmo, Cash App is Square Cash’s alternative. It’s not as fun as Venmo and it has a 2.5% charge for service. However, it directly deposits payments into your checking account within seconds and has a more simple process of payment. When I pay someone I only need to type a pin number or scan my fingerprint and the deed is done. When someone pays me, I don’t even need to access the app to initiate payment. It automatically does it for me. Cash App is what I use to pay rent, utilities, and borrow professional equipment. If you demand immediate access to your money, this app is ideal for all financial transactions. Budgeting is a weakness of mine. Spending too much time analyzing my bank accounts stresses me out a lot. Level helps me manage both. The app allows me to set goals (spend x amount for x month), setup topical trackers (bills, food, gas, etc. ), and sync all sources of money (credit, checking, savings) into a series of charts that empty or fill as I spend or earn funds. Level saves me a radical amount of time and reduces my stress significantly as it saves me hundreds of dollars through virtual management and accountability. If any of these apps seem like something that would make your life easier, I encourage you to try them. After a while, send me a message and share how it worked out for you!